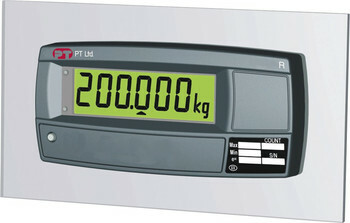 A compact remote display that can be panel mounted or desk mounted and connects to the PT200M, PT200P, PT200X and PT600R indicators without needing any RD3 configuration. 20mm LCD, 6 digits, LED backlighting. 12~24VDC or 4x AA alkaline cells with optional desk mount. 164x77x35 mm (as panel mount). Desk mount shell and battery compartment.